The green bond issuance is the first from the Dutch group since it debuted with EUR500m and $800m deals from ING Bank in 2015. Since then the group has moved to a HoldCo resolution strategy, with senior issuance now primarily done out of the ING Group holding company entity to contribute to the group’s TLAC and MREL buffers. The new 144A/Reg S issuance for ING Group, rated Baa1/A-/A+, was split into EUR1.5bn 12 and $1.25bn (EUR1.1bn) long seven year tranches. The euro tranche is the biggest senior bank bond in euros, while the US tranche is the biggest issued by a European bank in any format, and the combined transaction is the largest green bond from a European bank. Lead managers BAML, Crédit Agricole, Credit Suisse, ING, SEB and Standard Chartered yesterday morning European time went out with initial price thoughts of the mid-swaps plus 150bp area for the 12 year euro tranche and Treasuries plus 170bp for the long seven year dollar tranche, stating that each would be benchmark-sized. The new issue hit a fixed income market that had reacted positively to US mid-term election results coming out the previous morning. After a little over an hour orders for the 12 year euro tranche topped EUR1bn, and after around an hour and a quarter the size was set at EUR1.5bn on the back of EUR3.3bn of demand, pre-reconciliation, and guidance at 135bp-140bp, will price in range. Half an hour later books were closed at EUR4bn, pre-reconciliation, and the pricing set at mid-swaps plus 135bp. Pricing on the long seven year dollar tranche was tightened from the IPTs of 170bp over to the 155bp area, plus or minus 5bp, and the $1.25bn deal was then priced at 150bp Treasuries. The book reached as much as $3.2bn, and $2.75bn was good at re-offer. A banker at one of the leads in New York put the new issue premium at a relatively low 7bp, with fair value seen at around 143bp over based on an interpolation of the issuer’s outstanding five and 10 year paper, as well as comparables such as French names in senior non-preferred format. “Given the market volatility, recent trades have only been moving between 10bp and 15bp from IPTs to pricing, so the fact that we’ve been able to move 20bp and maintain more than two and a half times oversubscription underscores the success of this trade,” he said, “particularly given that it comes on the back of over EUR6bn of HoldCo issuance from them just a month ago. The syndicate banker noted that there has been little green bond supply in dollars relative to the European market. “This whole effort, in terms of establishing some pretty liquid reference points here in dollar as well as euros, is very welcome, especially in the FI space,” he said. While financial institutions have issued 19 deals of 250m or greater in euros this year totalling EUR12.05bn, similar US dollar supply is only EUR6.10bn ($6.95bn), according to figures from ING. US accounts were allocated 71% of ING’s dollar tranche, Asia 18%, and Europe 11%. De Vries at ING said that the beneficial green nature of the transaction was also evident on the euro tranche. According to Hans Biemans, head of sustainable markets at ING, one of two main differences to the bank’s 2015 green bond is that it has moved to a portfolio-based management of proceeds approach. 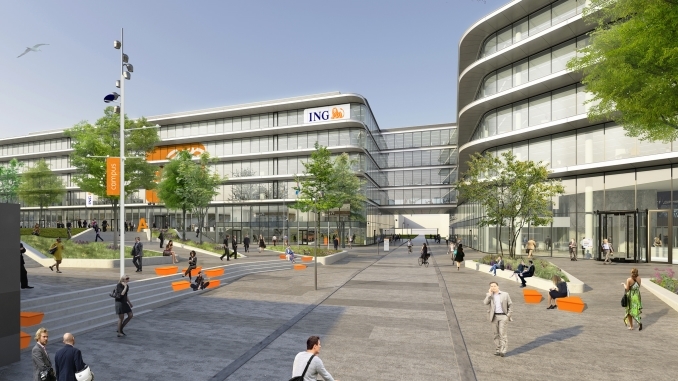 ING has earmarked some EUR4.5bn of loans as eligible for the proceeds of green bond issuance, with EUR2.9bn relating to renewable energy (wind and solar) and EUR1.6bn green buildings. 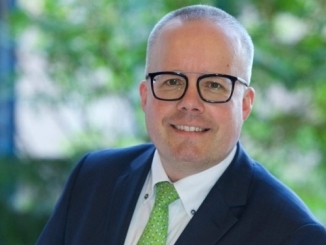 “Sometimes people structure a green bond like an asset-backed security – they allocate exactly the same amount of projects to a bond as the size of the bond,” said Biemans (pictured). “But that is not very practical because if you put loans as collateral for a green bond then those loans naturally mature all the time and you constantly need to supplement the pool. So it’s much easier to do a green bond in a portfolio-based way, that is similar to a cover pool for a covered bond, where you have one single pool of assets and you can simply issue multiple green bonds or other instruments under that large pool. ING has room to issue further green bonds against the EUR4.5bn portfolio after the initial EUR2.5bn of issuance, and also expects to grow the eligible assets. The second improvement compared to the 2015 green bond, said Biemans, is that ING has published a pre-issuance impact report. This estimates that 4.3 million tonnes of CO2 equivalent of greenhouse gas emissions are avoided/reduced through the portfolio. Following the new issuance, an allocation report will be published detailing which green assets the green bonds correspond to. 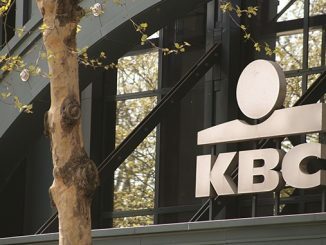 ISS-oekom provided a positive second party opinion on the green bond, also confirming its alignment with the Green Bond Principles, and ING obtained pre-issuance certification from the Climate Bonds Initiative. ING has said that the inclusion of renewable energy underlines its commitment last year to exiting coal exposure by 2025, while the green buildings highlight the additionality of its green bond issuance. Since last year ING will only finance commercial buildings that have an energy label of at least C, unless borrowers provide a refurbishment plan that will take the buildings to that level, and Biemans points out that around half of the buildings in the eligible portfolio are the best part of such refurbished properties, those upgraded to energy label A.
ING provides clients with an “energy robot” tool that runs calculations from smart meters, which then allows consultants to advise on how to improve buildings’ energy use. 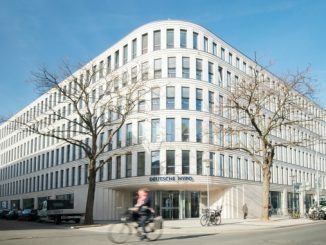 As well as launching HoldCo firsts this year, ING in April launched its first benchmark covered bond out of the Netherlands in five years, and the group also issues covered bonds backed by residential mortgages out of other entities in Europe and beyond. De Vries said the group may look at its international mortgage book, having now developed its senior issuance and commercial real estate capabilities, but that ultimately ING’s treasury will decide where to use the green assets.